Colvin & Moggridge » A water rill & woodland hosta garden. Our landscape design for this private, Cheshire garden will expand the existing Hosta Glade, which Colvin and Moggridge created in 2004. 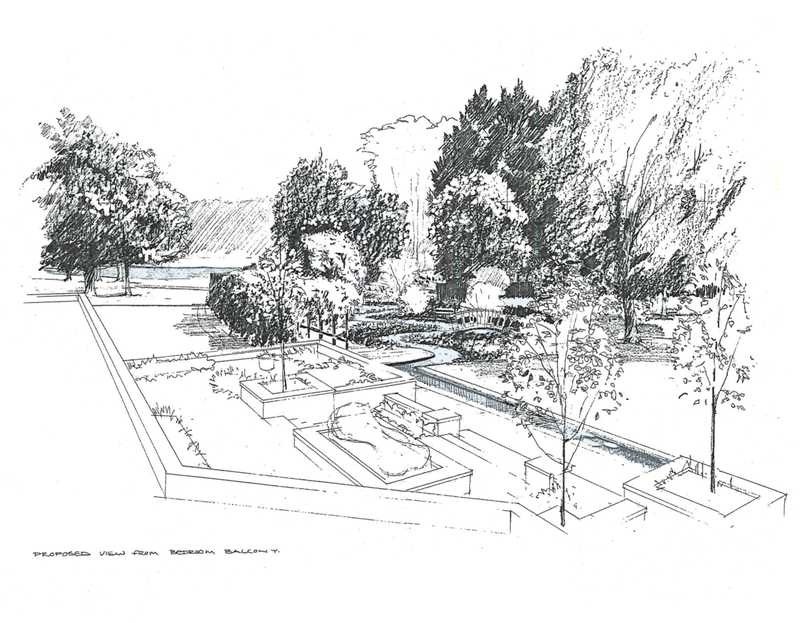 This new phase of construction and planting will use water, vegetation, paths and considered views to elegantly link the house, terraces and lawns with the Hosta Glade and its immediate woodland setting of mature Oak, Pine & Birch. 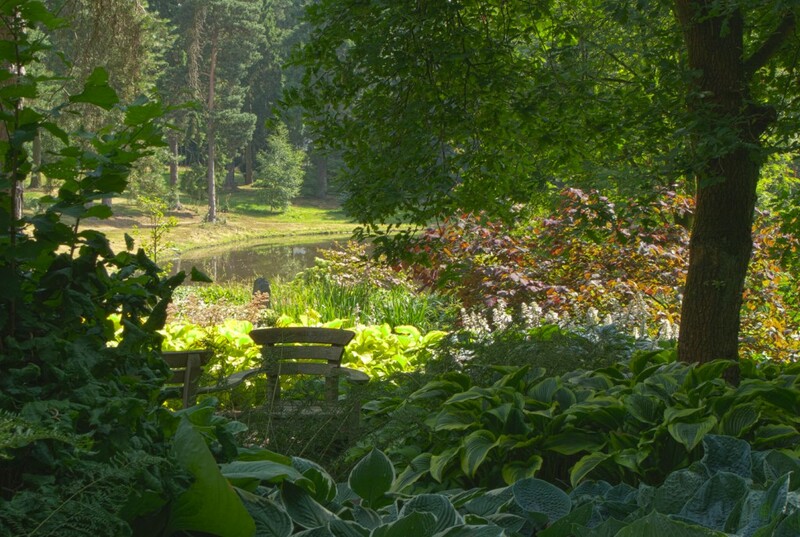 The work will be carried out by Johan van den Berg-Hider, an excellent contractor with whom we have worked on several water related projects, including the original Hosta Glade. From West to East the flow of water will emerge at the lawns edge adjacent to a hot tub on the terraces, before cascading through a series of rockery pools. The waters flow will be softened by a larger Lily pool, bordered with marginal planting, before joining a long linear rill where it will pass over reclaimed riven welsh slate tiles, carrying the sparkle and sounds of moving water along the lawn edge & terraces. Where the water meets woodland edge it will be redirected along a sinuous route that meanders between the mature Oak trees – the play of water and reflected light amongst the tree trunks leading the eye through to the existing Hosta Glade. New planting, including additional Hosta varieties will provide a luscious herbaceous layer at the waters edge thus softening the transition between lawn and woodland. Mown grass and gravel footpaths will allow visitors to weave amongst the water, Hostas and trees, enjoying all this beautiful private garden has to offer.